Horticultural Research Station, Kandaghat which is a part of Dr. Y. S. Parmar University of Horticulture and Forestry, Nauni, Solan was assigned the additional responsibility of Re mandated KVK in July, 2004 and was elevated to full fledged Krishi Vigyan Kendra for Solan district of Himachal Pradesh in Nov,200. The Kendra is located on Kalka- Shimla National Highway -22, thirty three kilometers short of Shimla and two kilometers short of Kandaghat town. It is 12 kilometers far off from District Head Quarter (Solan), which is stretched between 76o 42’ to 77o 20’ E longitude and 33o 30’ to 31o 15’ N latitude. 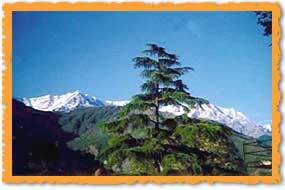 The climate of district Solan is sub-tropical to sub-temperate. The temperature ranges from 0o in winters to 40o in summers. The district receives an average annual rainfall of 1420.40 mm, mostly during monsoon. Snow fall which is not a regular feature is also received in some parts of the district during December- January. The climatic conditions of the district suits to the cultivation of stone fruits (mid hill zone), sub-tropical fruits (foot hill zone) and off season vegetables like; tomato, capsicum, ginger, French bean, cabbage, cauliflower, peas etc. The district has five developmental blocks namely; Solan, Dharampur, Kandaghat, Kunihar and Nalagarh, with their varied agro-climatic conditions. Major parts of Nalagarh, Kunihar and Dharampur blocks have sub-tropical climate while Solan and Kandaghat blocks are having sub-temperate and sub-humid climate. 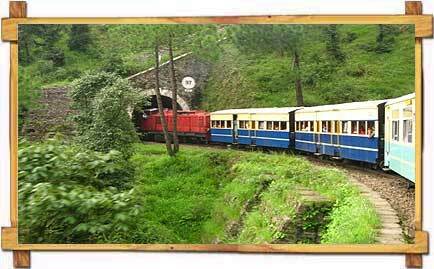 Solan district lies in the South – West part of Himachal Pradesh. It is bordered by Shimla district in the North, Sirmour district in the East, Bilaspur district in the West and Punjab and Haryana states in the south. The district is stretched between 76o 42' to 77o20' E longitude and 30o30' to 31o15' N latitude with a total geographical area of 1936 sq. kms. 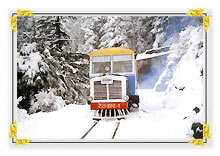 The KVK is located at Kandaghat on Kalka-Shimla national highway-22. Presently the district is comprised of five developmental blocks namely Kandaghat, Solan, Dharampur, Kunihar and Nalagarh. The total population of the district is 5, 00,557 of which 4, 09,362 is rural and spread over to 2501 villages and 91,195is urban. The male population is 2, 70,291 whereas 2, 30,266 are females. The literacy rate of the males is 84.8% whereas for the females the figure is 66.9%. 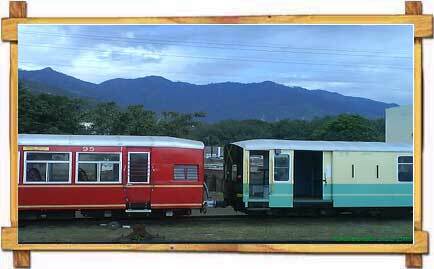 The climate of the district is sub-tropical to sub-temperate. The temperature ranges from 0oC to 40oC. District receives an average annual rainfall of 1420.40 mm. Mostly, the rainfall is received during monsoon. Snowfall during winter is also received in some parts of the district. The climate of all the blocks varies differently. Most of area of Nalagarh, Kunihar and Dharmpur blocks have sub-tropical climate. The climate of Solan and Kandaghat blocks is sub-temperate and sub-humid. As the district has hilly to plain areas, the soils are mostly neutral and the soil texture varies from sandy loam to clay loam. The soil depth is generally shallow except areas having vegetation cover. The total geographical area of the district is 1,80,547 hectares out of which 19,204 ha under forest, 10,441 ha barren and uncultivable land, 10,809 ha put to non agricultural purposes, 12,722 ha cultivable waste land, 79,965 ha under permanent pastures and grass lands and 483 ha is under miscellaneous crops. The net area sown in the district is 39,997 ha in which 28,866 ha is sown more than once. Total cropped area including fodder crops is 68,864 ha. Net irrigated area is 9,509 ha, which is 23.77% of the total net area sown of the district. The irrigated land holding per family is only 0.17 ha. The irrigated area is used for the cultivation of vegetable crops while other crops are sown in rain fed areas. Kandaghat, Solan and some parts of Kunihar and Dharampur blocks mainly use to grow cash crops while Nalagarh is mainly famous for sub-tropical fruits, cereals and oil seed crops. The district has monopoly of producing quality seed of crops like cauliflower, radish, bean, capsicum, turnip etc. Majority of the farmers are marginal and small. Dairy is also an important component of agriculture. The farmers on an average keep 4-6 animals comprising of buffaloes, bullocks, cows, sheep etc. During the survey, the problems related to low productivity of agricultural crops were identified. The crops like tomato, capsicum, cauliflower, ginger, pea, beans, stone fruits and carnation are heavily damaged by insect-pests and diseases resulting in low production. The major diseases and insect-pests of tomato are damping-off, buck eye fruit rot, alternaria leaf spot, bacterial wilt and canker, root knot nematode, cut worms, white fly, leaf miner, fruit fly and mites; black rot, stalk rot, aphids, diamond black moth etc. of cauliflower; rhizome rot of ginger; powdery mildew, pod borer and leaf miner of peas; fruit rot, collar rot and leaf blight of capsicum; angular leaf spot and anthracnose of French bean etc. In fruits, the major problems are peach leaf curl, gummosis and root rot. In flower crops, fusarium wilt, alternaria leaf spot and corm rot are the major diseases. The micro nutrient deficiency in some vegetable crops have also been identified which result in poor quality and low yield. In cereal crops like maize and wheat, the major problem is of low yield, which is mainly due to use of traditional varieties and high population of weeds. Low yield of milk in milch animals is due to unhygienic conditions of sheds, no use of veterinary medicines and mineral mixture and non-availability of green fodder during winter season. Low production in mushroom is due to poor management practices and incidence of insect-pests and diseases.